Hi Emmaline! I’m working on wedding favors right now and we’re expecting approximately 10 children at our wedding. I know a wine bottle stopper isn’t exactly a great favor for all ages. ;) Any advice on a kid-friendly favor I can swap out for them instead? Thanks! Hi Samantha! Kid-friendly favors in lieu of your selected favor (in your case, the wine bottle stopper) are an easy way to keep kids happy and having fun before dinner! One of our favorite ideas is a favor bag filled with small toys, a coloring book, crayons, and some candy (especially these!) 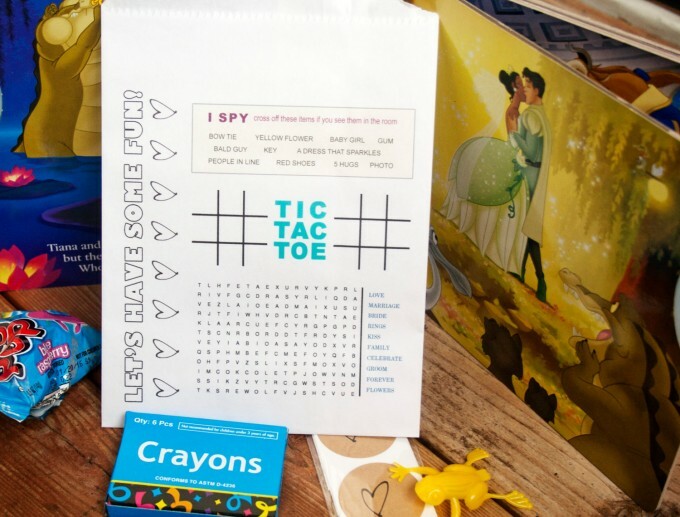 — even better if there are even some fun wedding-themed games right on the outside! 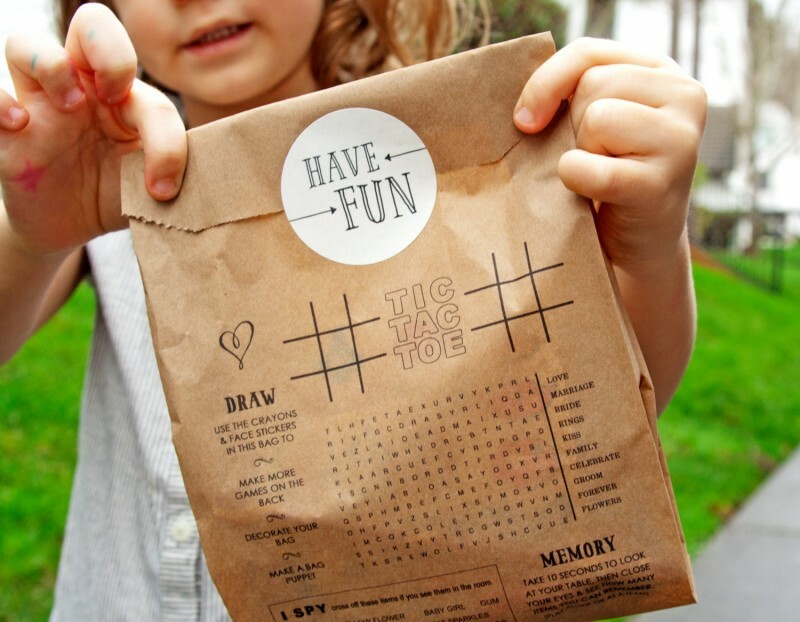 These genius kid-friendly favor bags are made by Mavora. And they’ll pretty much make you the coolest bride ever. 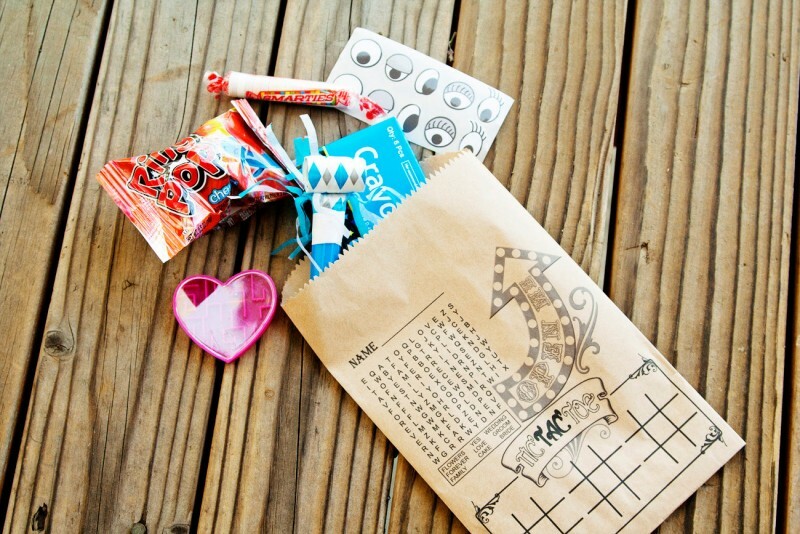 You can find out more about these fun favor bags here! There’s more coming up soon – stay tuned! Better yet, subscribe here so you don’t miss it. P.S. Do you have a wedding advice question? P.S.S. You might also enjoy this post on how to entertain kids at your wedding.